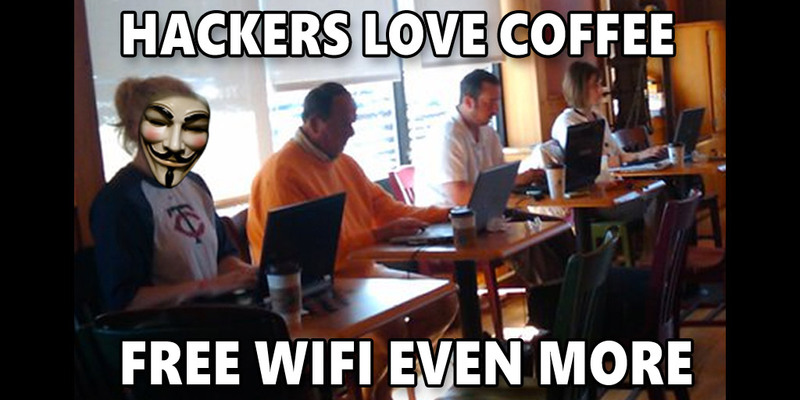 Don't Use Free Wi-Fi Again Until You Do These Things. As you know, free Wi-Fi that gives you an Internet connection seems to be available anytime you're out of the house and where you need it the most. You can connect at coffeehouses in the morning on your way to work, at lunch you can find wireless networks at most dining spots, and you can connect at restaurants and bars when the workday is done. And if you travel often, you typically have access to public hotspots at airports, hotels and convention centers. Of course, when you're on the road, you aren't on the same network you use at home...and that's where the danger comes in, because the more you move from network to network, the greater your risk for running into hackers who are prowling the hotspots, looking for easy targets (and innocent victims)—anyone who doesn't take the steps necessary to stay safe online. 1. Be sure you send encrypted data. Here's what you need to look for: Make sure the websites you're using for the above activities begin with "https" in the address bar. The key letter is that "s," which stands for "secure." You should also see an icon in the address bar that looks like a padlock. If you're not using a secure website, your data is at risk every time you hit "Send" or "Enter." A VPN (virtual private network) is a service that you can sign up for online through one of many VPN-provider websites. Once you select a VPN provider and open an account, you will be able to go online with the assurance that all of your online activity is encrypted—guaranteed. VPNs take your data and tunnel it through highly protected networks and remote servers. Better still, not only is your data encrypted, but your true IP address is hidden from any website you visit and from anyone who receives an email from you. 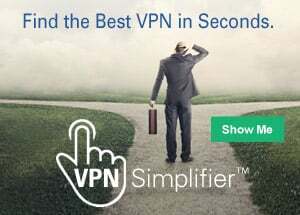 A VPN even allows you to look as if your online connection is in a different region or country from where you actually are. That could allow you to view content or websites that are blocked in your region. Visit our VPN comparison page, where you can select one of several options listed. Almost all of them offer a money-back guarantee, which you can use to test-run their service. You'll find many articles about virtual private networks on in our Learning Center. 3. Choose open networks carefully. Have you ever gone to a mall or coffeehouse with your laptop and noticed that it automatically connected to an available network? Or you saw a long list of available networks and they all seemed legitimate to you? Beware. It's common for sophisticated hackers to set up their own hotspot in a public setting and give it a name that sounds legitimate. If you connect to a bogus network and it's run by a hacker—and you're not connected to a VPN—then you have unwittingly given them access to your computer. Go to your network preferences folder on your computer and deselect the automatic "join networks" feature. Then be sure that the available network you choose is legitimate. Use different passwords for every account. If you get caught in one of those large hack attacks which seem to happen all the time (a bank or store), the hackers will explore other websites and attempt to use the stolen emails and passwords to randomly unlock the door to other accounts. It doesn't take them much effort—it's all digital—so don't make it easy for them to succeed. Use unique, tricky passwords for each account. Think about using a password manager program to help you create different passwords and store them. Explore "two-factor authentication." Imagine if someone learned your username and guessed the password to your bank account! It's a frightening thought. However, you could still thwart someone who managed to get that information if you used two-factor authentication. That's because every time you start to make an online transaction, you'll be sent a special code, usually through a text message—a code you need to continue with the online transaction. Without that code, a hacker pretending to be you cannot complete a fraudulent transaction. You may have come across this security step before. Many websites, for example, use two-factor identification anytime a customer wants to change passwords. If you like the way that extra layer of security sounds, ask your financial institutions if they offer it. It may take an extra minute to complete your online requests, but it will add a level of protection, for free, that's worth every second. Hackers prey on the unprotected. You can send them on their way by instituting a few extra security steps to keep your privacy intact and your computer clean.